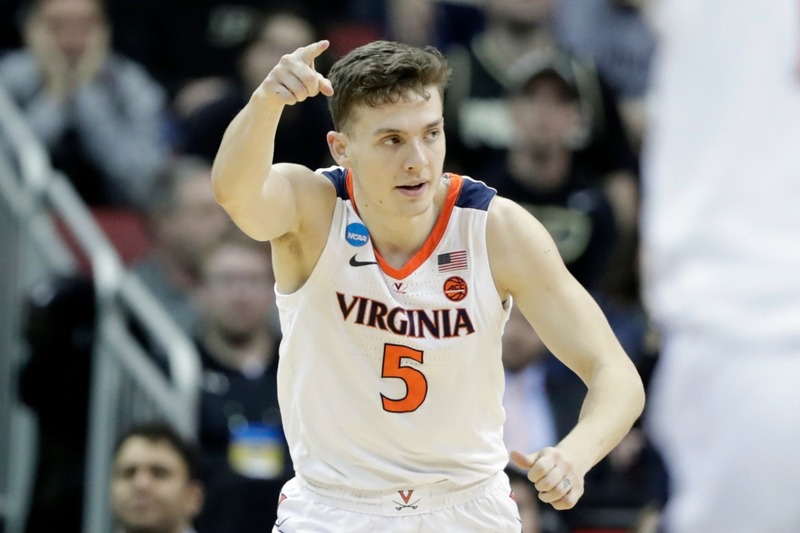 The Virginia men’s basketball team earned more than just a spot in the Final Four with a thrilling 80-75 overtime victory over Purdue on Saturday. With the win, the Cavaliers earned redemption a year in the making, and regained the nationwide respect lost in the span of two hours a year ago. By now, the story is familiar. In the first round of the 2018 NCAA Tournament, Virginia became the first No. 1 seed to ever lose to a No. 16 seed when it lost 74-54 to UMBC (University of Maryland – Baltimore County). The historic loss has haunted Virginia all year. It was a source of embarrassment to the players and coaches, but also a source of motivation. Fast forward to this season, when Virginia again earned a No. 1 seed in the NCAA Tournament with a 29-3 regular-season record and a share of the ACC regular-season title. The Cavaliers overcame a shaky first half to beat Gardner-Webb in the first round, then dispatched Oklahoma in the second round and Oregon in the Sweet 16. The instant-classic Elite Eight matchup against Purdue featured 42 points from Purdue’s Carsen Edwards and a wild last-second buzzer-beater by Virginia’s Mamadi Diakite to send the game into overtime. Ultimately, the Cavaliers prevailed. Dealing with an injury, a shooting slump and the weight of history, Guy looked to God when asked how he overcame it all mentally. “With my faith in the Lord, and my team,” Guy declared. "We can do anything we put our minds to." Faith is prominently featured in the Cavaliers locker room thanks to head coach Tony Bennett, who is widely credited with reversing the fortunes of the Virginia men’s basketball program and also outspoken about his faith. When asked how this Virginia team will be remembered, Guy returned to the moment a year ago that could have devastated them. Instead, it motivated them to accomplish what many thought they never could. The Cavaliers hope to make more good history when they tip off the Final Four against the Auburn Tigers on Saturday in Minneapolis at approximately 6:09 p.m. ET.